An alcoholic who was allegedly killed following a drunken brawl would have had a better chance of survival if doctors had treated him sooner, a court heard yesterday. The claim was made by a brain injuries expert during the trial of Francis Thomson, who is accused of culpable homicide following the death of Scott Ashton. Mr Ashton suffered a bleed to the brain after he hit his head off a cobbled street on Ship Row, Aberdeen, on May 18 last year. 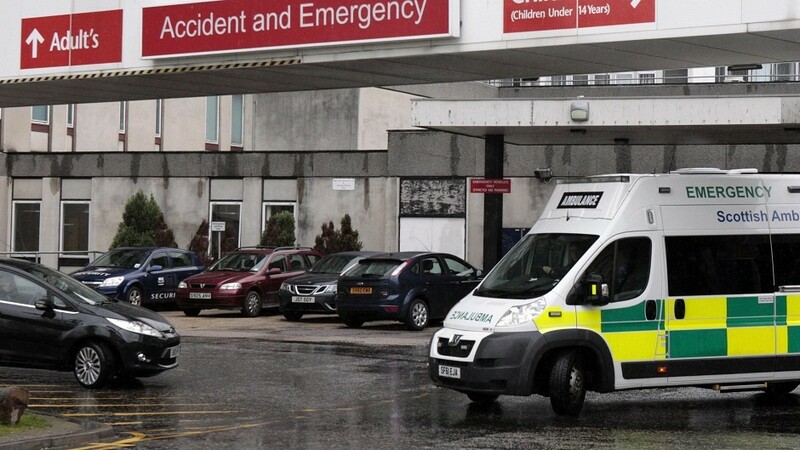 Despite being picked up by ambulance staff at around 9.30pm it was more than three hours later before he saw a doctor at Aberdeen Royal Infirmary’s accident and emergency department. By then the 44-year-old’s condition had deteriorated rapidly, to the point that he was incoherent and fitting. An on-call doctor was summoned to carry out emergency surgery on Mr Ashton, which was a success. However, he died in hospital three days later having suffered from pneumonia. Medics say this was because he was attached to a ventilator as a result of the operation. Yesterday the High Court in Aberdeen heard from neurological consultant and international expert in brain injuries, Dr William Stewart. He was giving evidence for the defence in the case against Thomson, who denies culpable homicide and has lodged a special defence of self defence. The 25-year-old is accused of punching Mr Aston to the face, causing him to fall backwards before striking his head off the street. Yesterday Dr Stewart said “time is of the essence” to ensure patients displaying signs of a brain bleed do not suffer irreversible damage. And he said it was his opinion – although not absolutely certain – that Mr Ashton could have been saved if he had been operated on sooner.